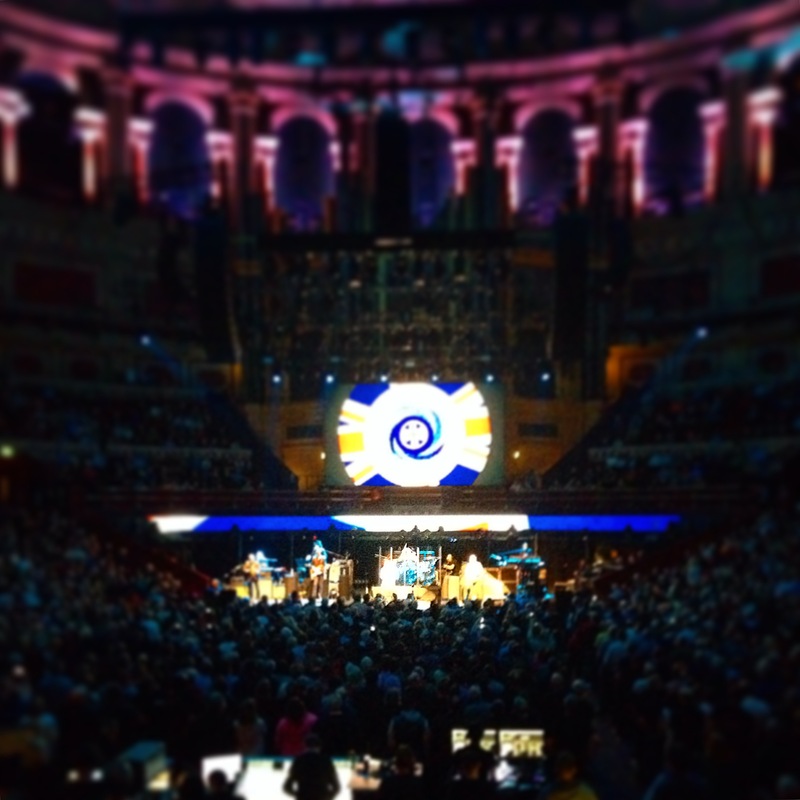 The Who hit their home-iconic venue during their hits 50s tour and delivered a goose-bump 2 hours set on Thursday night as part of the Teenage Cancer Trust support gigs for which singer Roger Daltrey is testimonial and artist director. The audience average age is largely above the sixties, I guess that most of them have seen The Who several times across the past 50 years and are not virgins like I am. Some might have seen them in the 60’s with their original line-up when they used to smash their gear at the end of every gig, and some might have even seen Keith Moon at the drums (like my father did in Milan in 1967). Some other might have fallen in love with the band during the opera-period of Tommy and or the mods-y Quadrophenia and a minority (like me) is here because of their parents. Sons of a generation that lived the best musical era of history, the swinging London, the rock’n’roll, the mods and generously passed this passion down to us. Move like… Roger and Pete: its funny to think that 50 years in their career nobody has really mastered as they do their iconic moves: Roger’s flying mic (at his best on the opening Can’t Explain) and Pete’s helicopter stroke on the guitar. The average age of the crowd (65? ): there were more white hairs than anything else but it didnt stop anyone from dancing, rocking, singing whilst standing for most of the gig. For all the ultra-cool mods sporting their parkas or 60s mods haircuts 40-50 years later. Respect. A tip to anyone out there thinking about going to a concert of the Who. GO AND BUY THE TICKETS NOW! Rumors say that this might be their last tour, they are in better shape than The Rolling Stones physically, they still rock more than Paul McCartney, Roger still has a hell of a voice and Pete Townshend is as (or more) present than ever on his guitar.